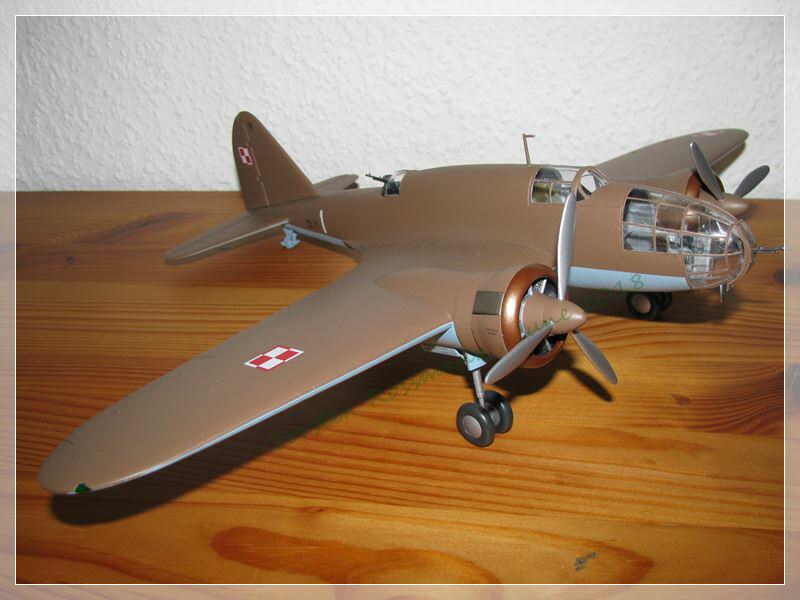 Bob, your Fokker is also coming along nicely. Keep it coming! 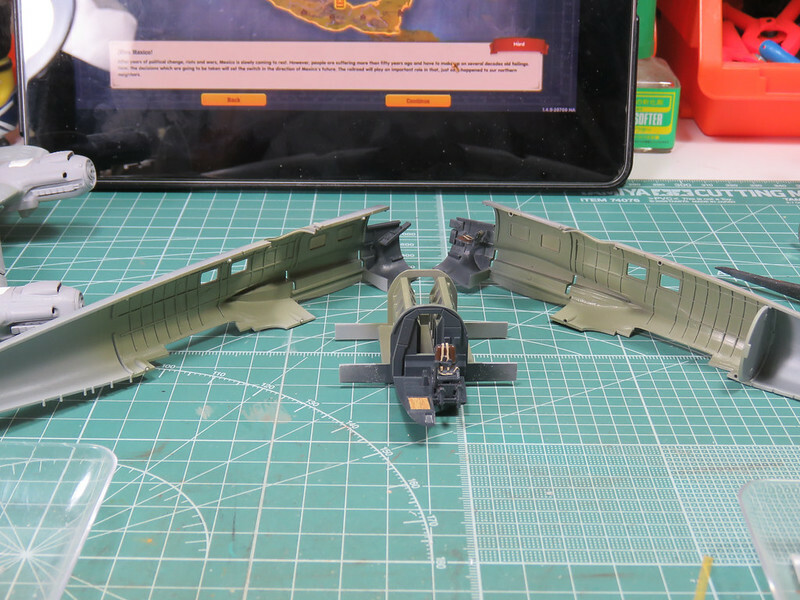 Jose: Nice progress on the Heinkel. The paint job looks good. 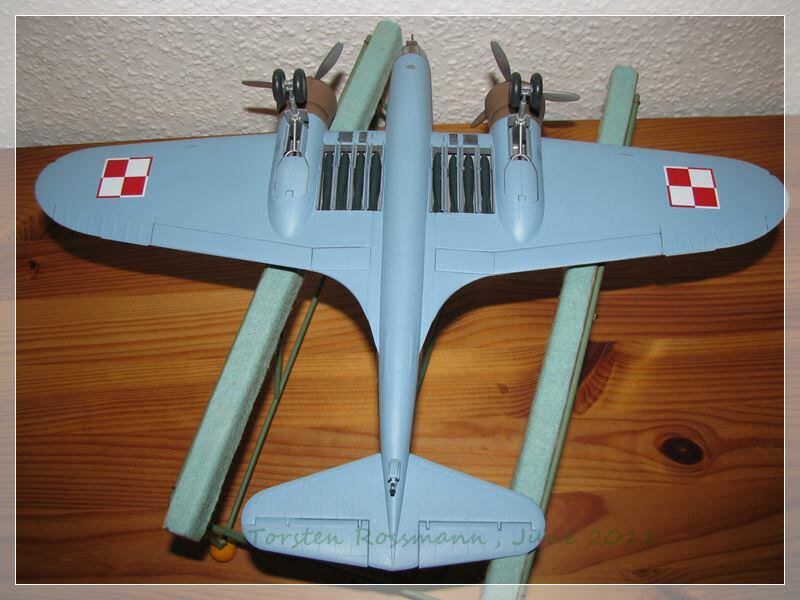 I do not know the ICM kit of the Dornier 17 but, the Airfix one has some serious flaws concerning its fit. Especially the one of the motors. 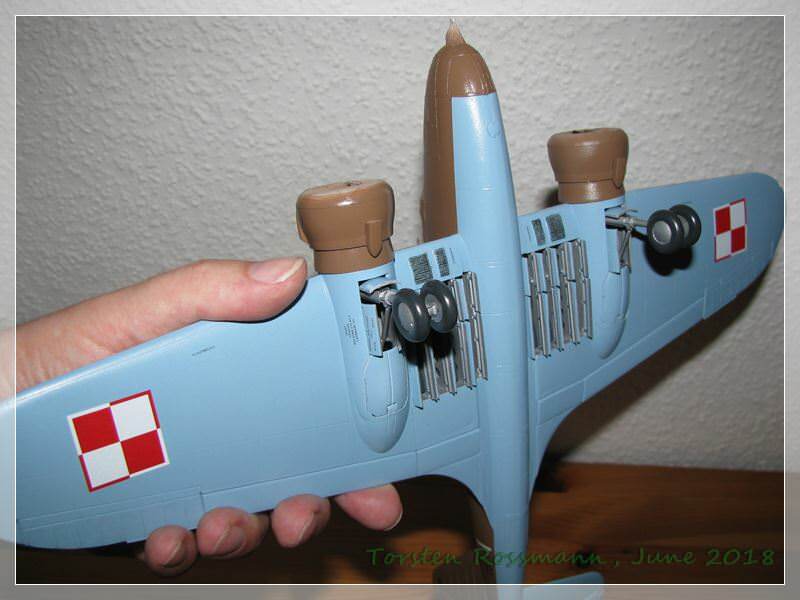 Torsten: The paint job of your PZL is spot on! Can´t wait to see it finished. 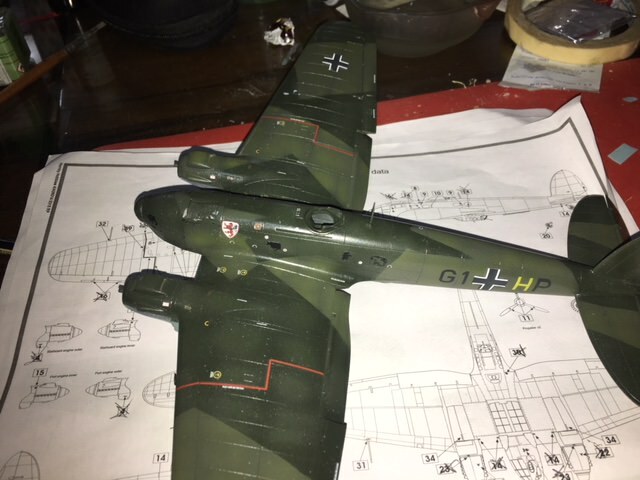 Bob: The Fokker is coming along very nice! 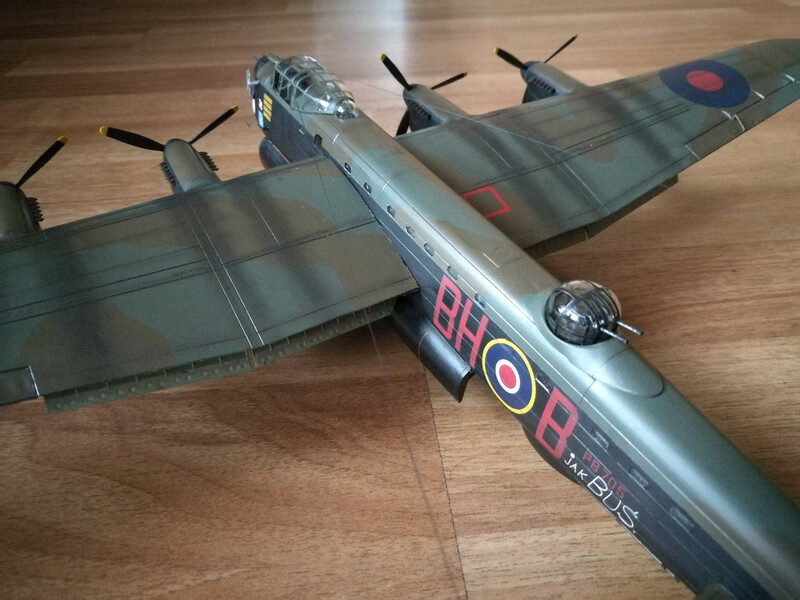 Hi Oliver, I've built the Airfix Do 17 last year and have had no trouble at all with engine fitting. I did read that some people had some issues with engines, but there was nothing out of ordinary with mine. Maybe only some copies were affected. I would gladly recommend it to anyone, still my best model so far. A litte update. I finished the decaling of my model. 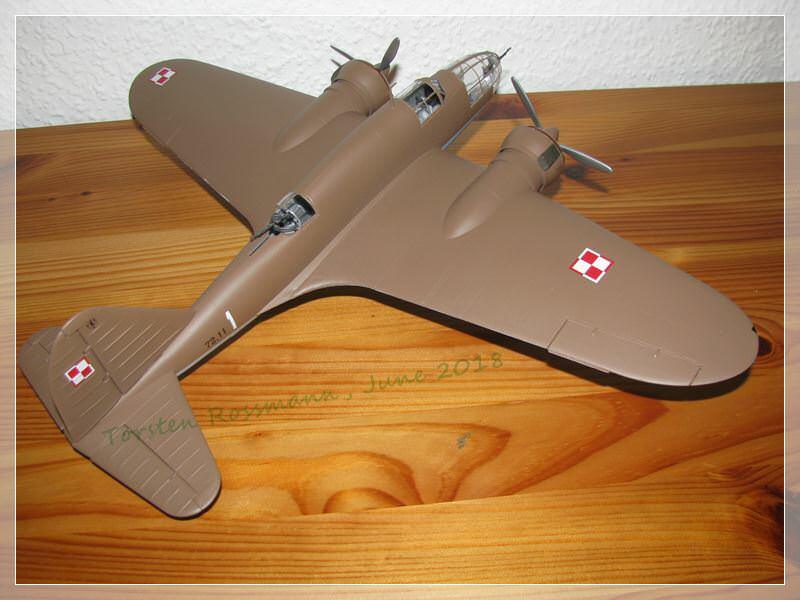 Is the first time wich I see a good decal sheet in an Airfix kit. Oliver, thank you for the kind words. 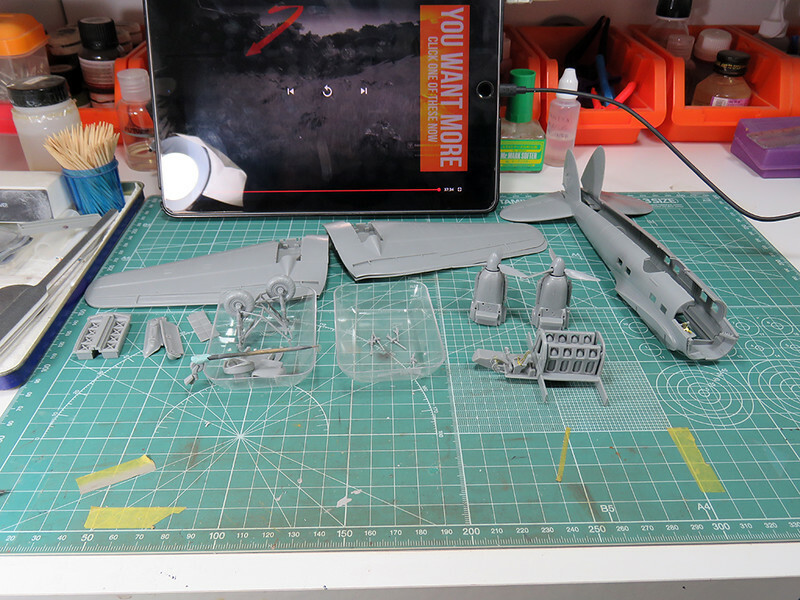 Jose, your He111 is really coming together nicely. Torsten, really liking your PZL! Jose! So good to see you back at the bench, very nice 111. Bob, been following both your unusual builds with interest, they're coming along nicely. I've been grinding, gluing, and about to fill the engine nacelle areas (everything times 4). When it hit me that I'd overlooked just how much weight would be needed to keep this monster from being a tail dragger. Soooo, a test fit was in order. No real surprises, having built the J variant, pretty much the same things rear their head. 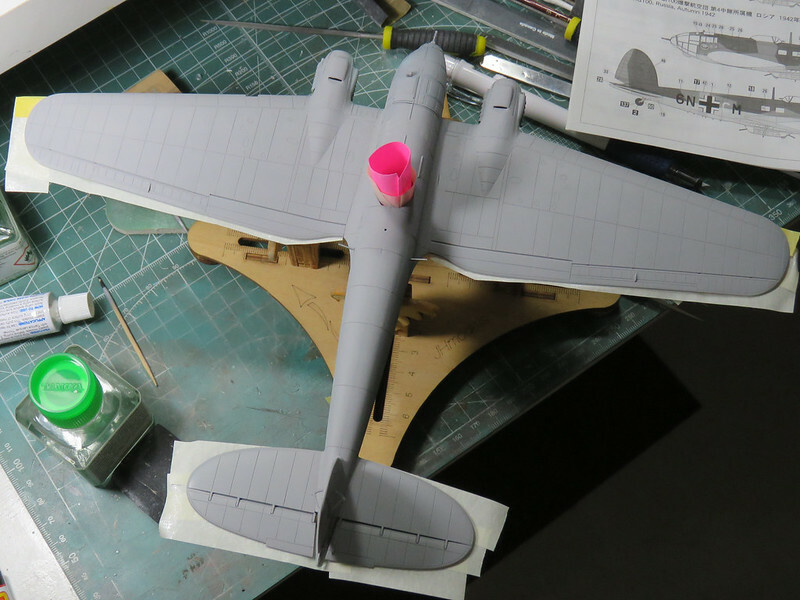 The engine/cowl join, the tail gap, aside from that no real hurdles, except the shear size! So, I taped a cup to the top of the cockpit and began to load in fishing weights, once the nose went down, I added a few more to be on the safe side. The grand total? A whopping 157 grams! 157 grams is really a lot, John. Do you think, the nose gear can handle that weight? Be sure it won't break. 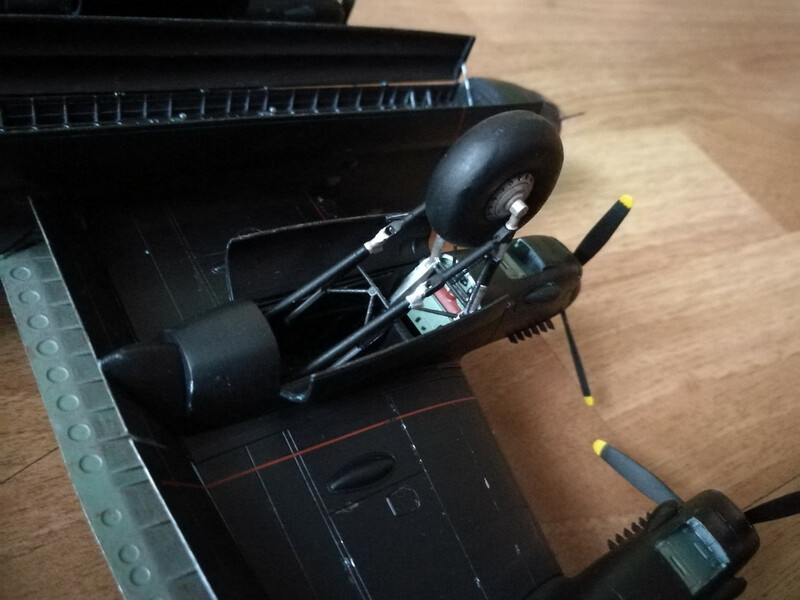 A few years ago I've built the 1/48 F7F Tigercat from Italeri and had to put 80 grams of weight into the nose. The nose landing gear is long and thin but it didn't break. A long way has come to an end and even with the summer heat over here and Germany out of the World Cup .... ... I was quite busy at my bench this week to finish this baby. Now I call it clear for take off .... Demasking the cockpit yesterday evening was really fiddly, btw. 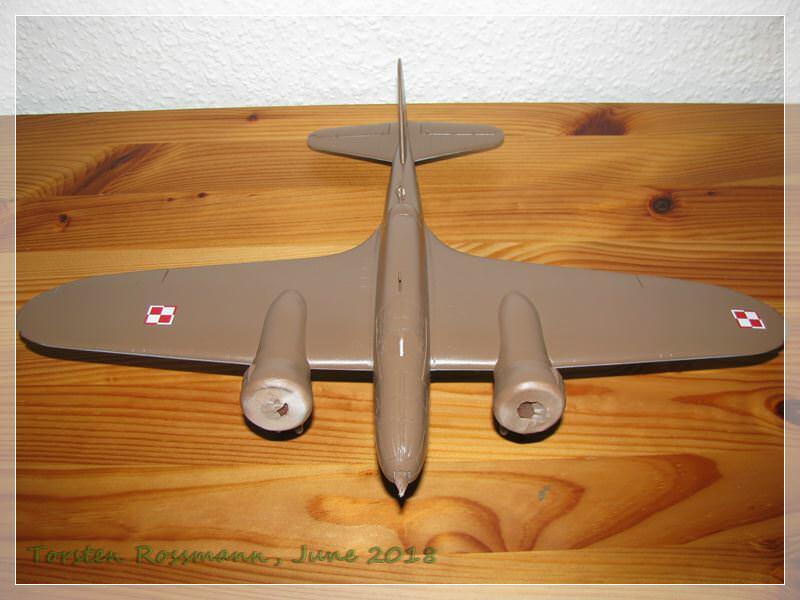 Thanks for this great campaign which gave me the chance to build a rare seen aircraft (I know only 1 other completed). This kit has quite some nasty issues and there's a lot of fitting, filling and sanding to do. 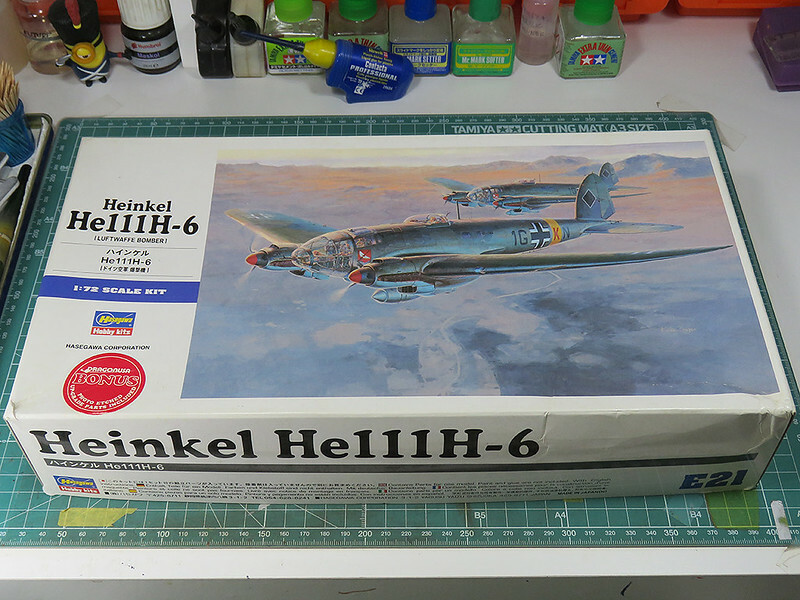 Though it's as expensive as an ordinary Tamiya or Hasegawa kit, it has not their quality. But finally I'm glad to have it in my collection now. Very nice work Torsten, congrats! Needless to say, don't forget the gallery. Torsten, nice job. The green house looks really good. 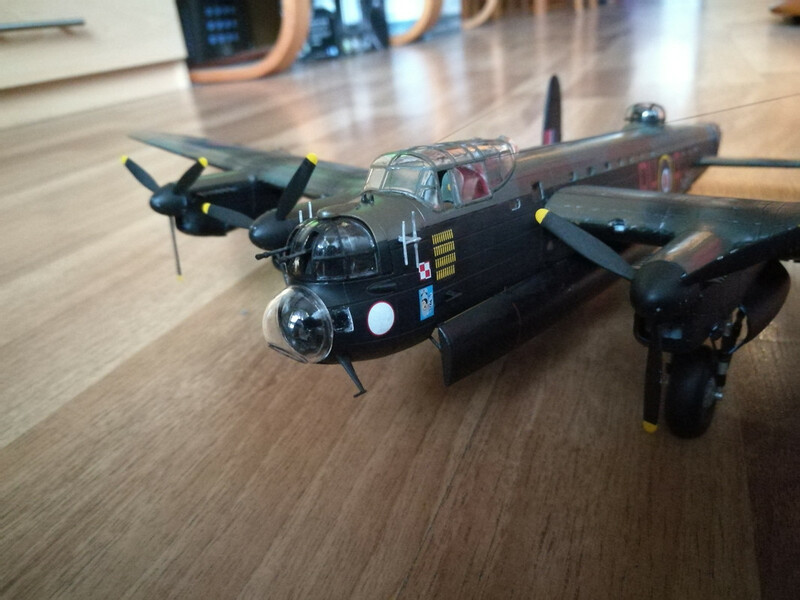 After long four months (I think), I finished my Lanc. 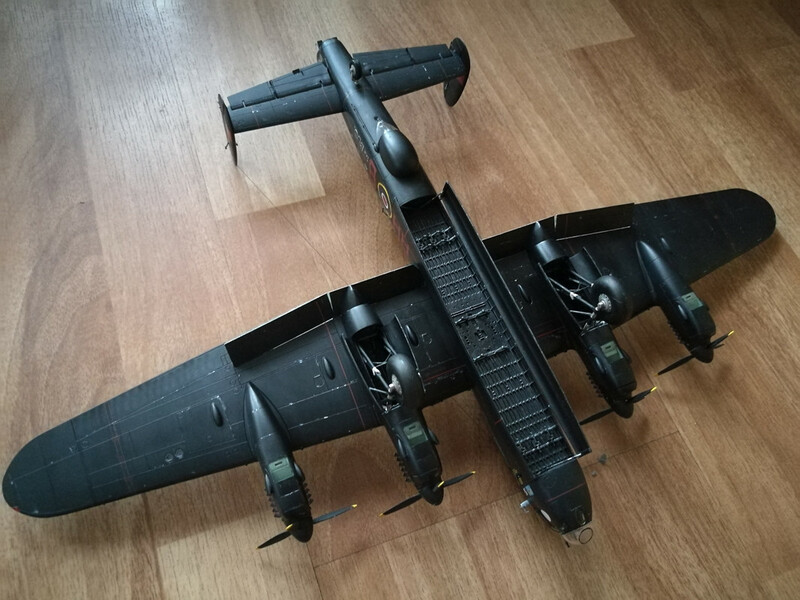 This is Lancaster B Mk.I flown by 300 Sqdn RAF (Dywizjon Ziemi Mazowieckiej). 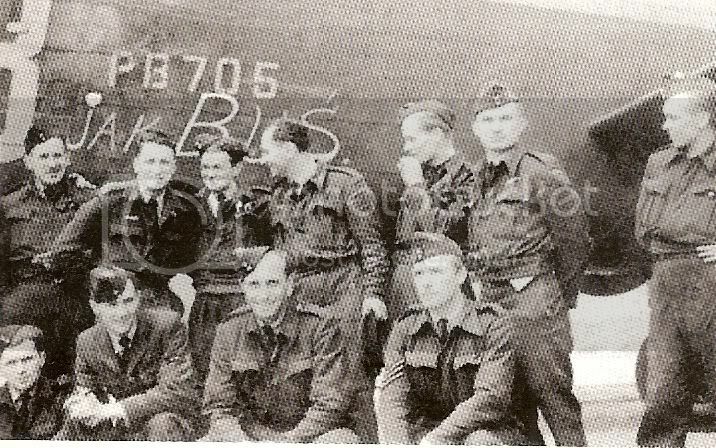 This was a Polish RAF unit stationed in Faldingworth. 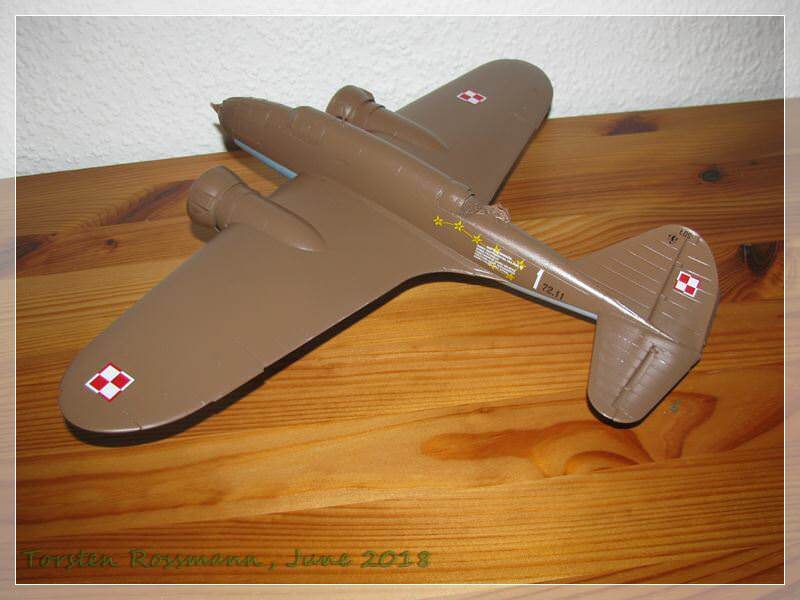 This is my attempt to commemorate 100 years of Polish Air Force as well as take part in Bomber Campaign. I am quite happy with the end result, I have learned a lot and I think my paint job has improved quite a bit. I can no longer see edges in between colours and there were no brush strokes. Matt varnish coat failed me, I still don't know how to thin it properly and this has unfortunately left brush strokes in places. Well, lessons have been learned. Model itself was pure pleasure. My only grief lies with lack of crew figurines (only the pilot was provided) and much more importantly - no bombs were included in the set. 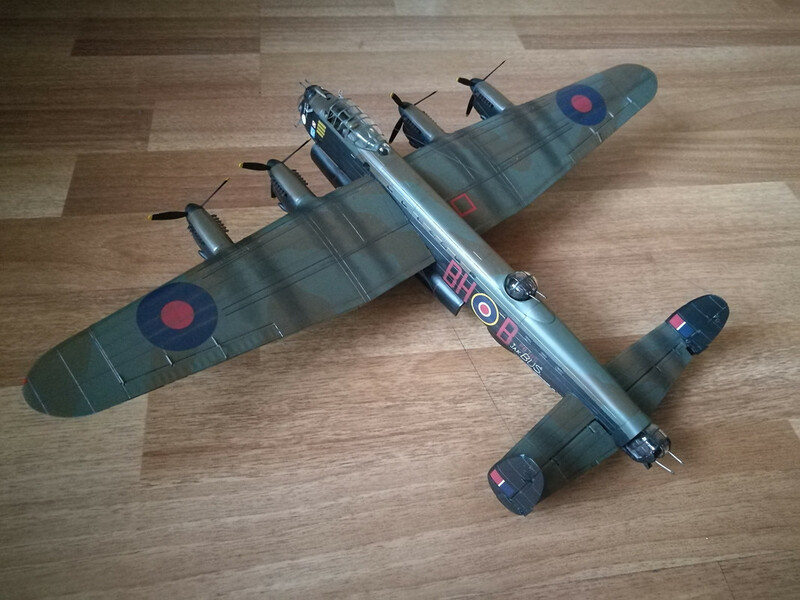 There is a note in the instructions to buy a separate 'Bomber resupply' kit for the bombs, but I think this is very unethical business strategy on part of Airfix to force people to buy two boxes to complete one plane. Bomber without bombs is like tank without a gun. I was quite a bit annoyed at that. Schließe mich an, gut gemacht, Torsten! 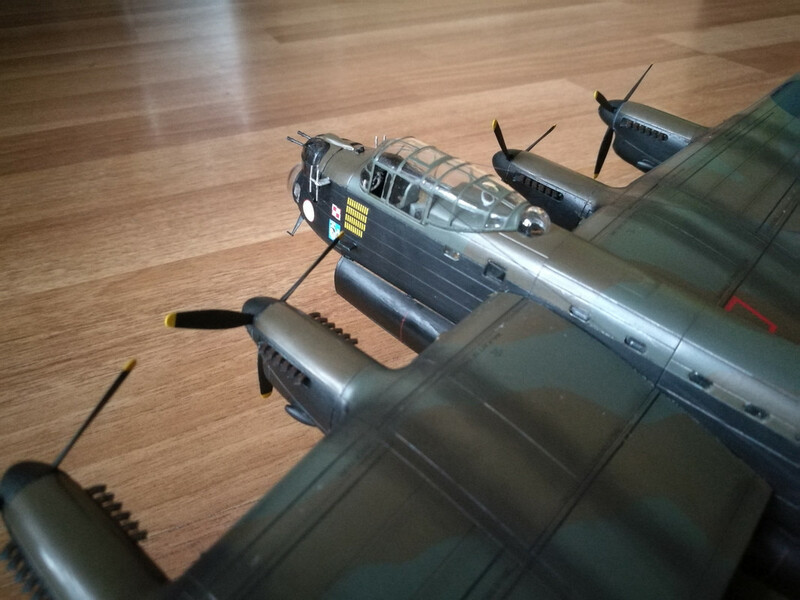 Shrimpman: I don´t know you are unhappy with your LANC!!! For me is OK. 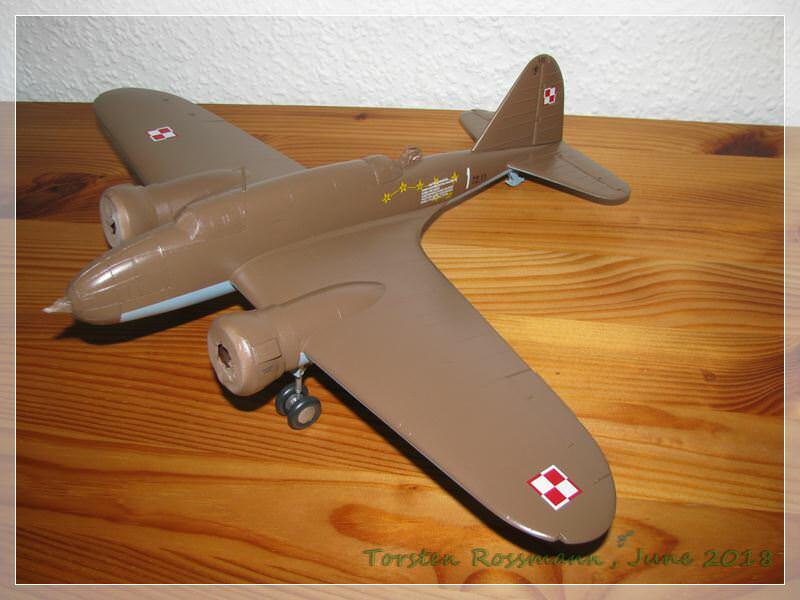 I agreed with you with the Airfix politic of selling bombs in another way, Hasegawa allways did the same in some kits. Bob, it’s looking very good, as is your Avro also. Both unusual subjects from a rarely seen model brand. In fact there are several ongoing models that caught attention easily. Well done! 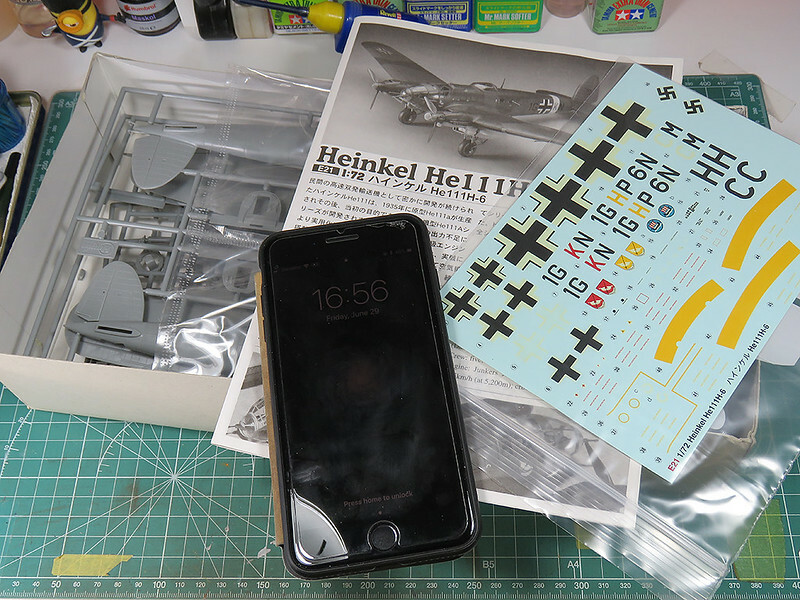 Hoping to post first build photos of my Ju.188 soon. Very nice work, Shrimpman! 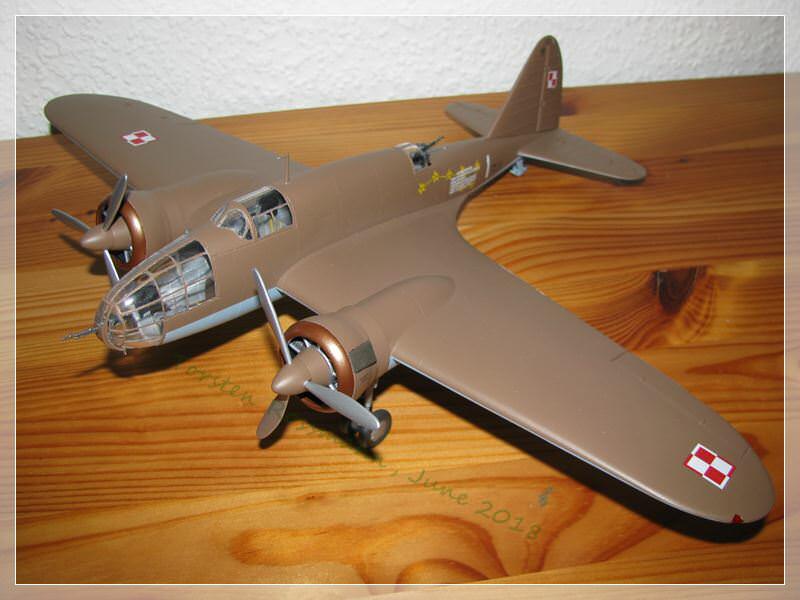 I don't normally do 1/72 but those new-tool Airfix Lancs and B-17s are very tempting. Don't forget to post your finished pics in the campaign gallery everyone! Shrmpman, I'm impressed! Hand painted, and it looks great! I'm humbled by you skills!! And for those wondering, yes, the airframe will handle the weight. First tests showed 148 grams, but I added a bit more, and 157 was the amount. The few others that have completed this bird had higher amounts! I have no fear! My friend I shall keep you posted! I tried to upload my pictures to campaign gallery, but some of the files were too large. I cut them down and tried again - something crashed. The gallery does not show anything, but it says i have my 4 images in my queue. Should I post them again or wait a bit? Update: Nevermind, I figured it out. I got around the problem by submitting pictures one by one rather than all at once. I started the build on the 29th but didn't get the time to transfer the images from the camera to the computer. Today I finally got some free time to post the pics. John. What scheme have planned on ? 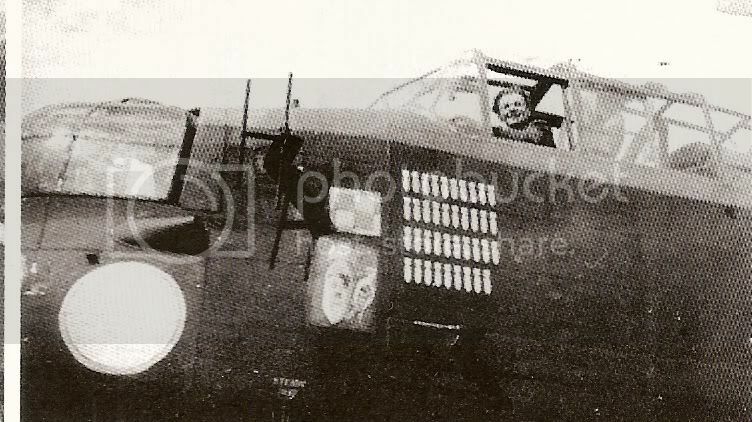 Shrimpman, nice job on your Lanc. 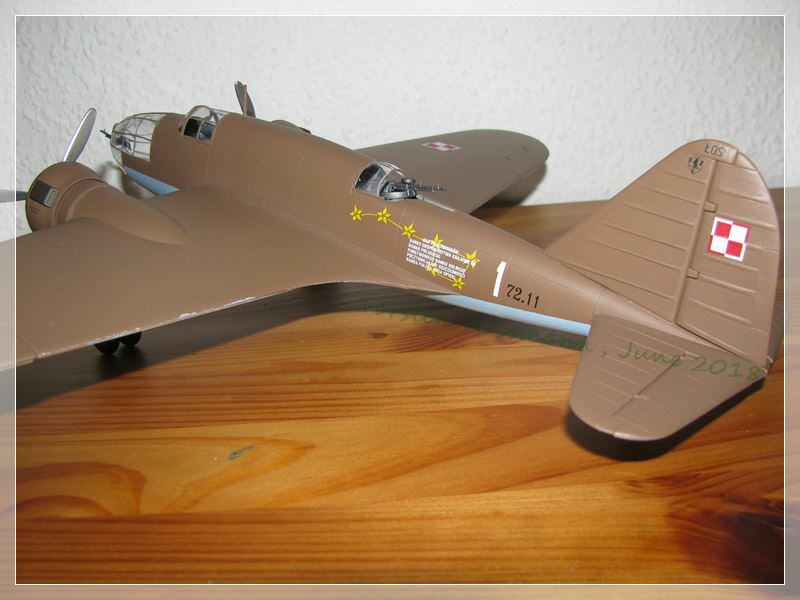 I'm planning to use the kit's decals to depict "Fightin Sam". Olive drab uppers, Neutral grey under. I like the "L'lil Abner" theme, as it goes with some P-47's that had the same nose art. I'm optimistic that the decals will do alright. They've been protected in zip-locks, so we'll see. Ironically, I was test fitting the tail when I noticed you're post. 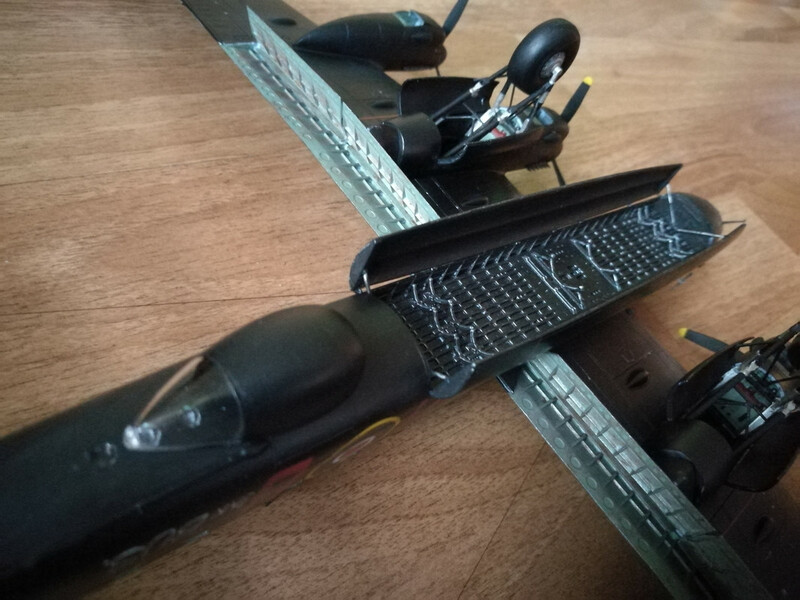 I'm also doing a P-47, for kicks I compared the tail span to the wing span of the 47, the P-47's is about 2.5 inches longer. This is a huge!! Plane!! Not a clue where it will go when done! My guess is next to the C-47, should make quite an impressive dust bunny! Updates to come soon! Take care.